Everything Audio Network: Audiophile Review!Bryston BHA-1 Headphone Amplifier:“A Superb Class A Amp at A Bargain Price"
“A Superb Class A Amp at A Bargain Price"
As a reviewer and for music listening pleasure, I love the detail and uncolored-by-room signature of a really good pair of headphones and a well-made amplifier. 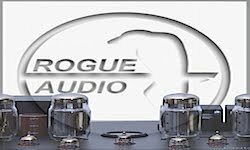 In doing comparisons and reviews, headphones afford a microscopic aural examination; I hear subtle details in transient response and detail that often get swallowed up by the room when listening to speakers, even big ole’ expensive high-end speakers. Thus, I am a sucker for a great set of headphones and matching quality headphone amplifier. In recent years, I have auditioned and bought numerous combo DAC/headphone amps and have been quite content listening to high-res 24-bit and SACD music through them. However, like a receiver vs, separate amp and preamp, the combo DACS can be compromised, slightly, in order for all the parts to fit. Like dedicated preamps and amps, a solely focused headphone amp can, subjectively, up the listening quotient quite a bit, depending on what you plug into. Which brings us to the Bryston BHA-1. After the introduction of its fine-and-dandy BDA-1 DAC a few years ago, Bryston heard it from customers, and reviewers like me, that the DAC needed a headphone amp. With its longstanding pedigree in building cost-effective, high-performing amps and preamps over the years (I loved the BP-20), Bryston engineers decided to step up their headphone design with a new standalone unit that can accommodate a bigger power supply, upgraded analog signal path and more connection options. The result is the new Bryston BHA-1 headphone amplifier that is so shockingly good, in audiophile terms, for a mere $1,395. The BHA-1 is a dual-mono, Class-A headphone amplifier that features 1/4-inch, 1/8-inch, and balanced L-R and stereo outputs. The handsome, full 2U rack-sized amplifier is elegantly simple, with the outputs neatly arrayed on the front panel, along with simple toggle switches for power, output selection and gain options. No learning curve on this preamp; no software updates, or connection to the Internet. It is 100 percent analog. On the back panel are two unbalanced RCA L- and R-inputs, left and right balanced XLR inputs, and an 1/8th-inch balanced jack so you can plug in your iPod, or perhaps the line out of a really good digital portable, like my TASCAM DR-100 Mk II. The BHA-1’s key ingredients are its internal parts. With a toroidal transformer-based power supply section, the signal path is rendered through six, fully discrete Class A, Bryston spec’d op-amps. 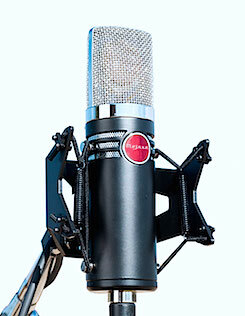 An audiophile-spec Noble volume and balance controls also enhance its high-end signature. 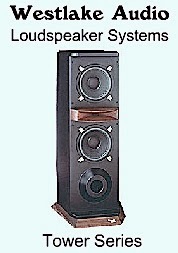 The overall design ensures linear frequency response past 20 kHz and dynamic range and signal-to-noise better than 107 dB. Plenty of performance to handle critical, hi-res listening tasks. Option-wise, the BHA-1 is available with internal or external power supply, 17 or 19-inch wide faceplate and with silver or black faceplate. Price for the standard model is $1,395. My review version came in the silver, which I think looks the best and, visually, masks the scuffs and scratches. For the review, I plugged into the BHA-1 with several headphones: AKG K701 and K702, Shure SRH1840, all open-back, high-end phones; Sony MDR-7510 and MDR-7520 closed-back professional headphones, Grado SR-325 open-back and some older Ultrasones. The AKG K701/K702s and the Shure are excellent headphones with just the right balance in the midrange and treble, allowing accurate, close-in monitoring. Thus, I came to rely on those HPs for much of the review. I did like the neutral timbre of the Sony MDR-7510s — especially since they are so well priced — and used them a bit as well. I fed the Bryston with analog sources galore: an Oppo BDP-95 universal player, Esoteric DV-50 universal player, the Benchmark DAC2-HGC and DAC1 Pre digital-to-analog converters, Lavry DA10 DAC, TASCAM DVRA1000 HD master recorder/player, an iPod and the aforementioned TASCAM DR-100 MK II digital recorder/player. I even fed the XLR line output of my professional ORAM 16T 16-channel analog mixing console that I use in my home recording studio. Listening through the Bryston revealed subtle, but noticeable, differences with my headphones. The BHA-1 is a classic example of what a dedicated headphone amp brings to the sonic equation. Music came from diverse sources: DVD-As, SACDs, DSD over DOP, Blu-rays, high-res digital downloads, and my own 24-bit recordings of acoustic and jazz guitar/Fender tube amp sessions. I even used the BHA-1 and the Shure SRH1840 to monitor a “live” player session with a new Guild guitar that I was reviewing for the Everything Guitar Network. 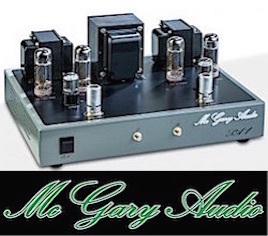 The universal players, DACs and pro gear were connected to the BHA-1 with Alpha-Core Goertz solid-silver XLR or RCA cables, depending on the output. The iPod and TASCAM DR-100 MK-II were linked to the Bryston via Wire World 1/8th inch-to-stereo unbalanced cables. Since the unit was new, I unboxed it, removed the top to peer inside at the well-groomed layout and marvel at the parts selection. I also let it run for three days before I did any serious listening. By the way, all components with IEC power cable sockets got the royal treatment in this review — with Essential Sound Products Essence II power cables plugged into an Essence II power strip. These big cables have a unique RF-shielding design and keep out extraneous AC noise that can ruin high-end headphone listening. Since I had a new generation of hi-res DACs in for review (Benchmark DAC2- HGC) as well as the BHA-1, I tandemized those two components first, using the Alpha-Core balanced cables to link the XLR I/Os. I played numerous selections of hi-res music, using the Oppo BDP-95 as a transport and the DAC2 as the D/A connected to the Bryston. I also conducted countless hours of extensive listening through the DAC’s headphone amp which is very good with substantial width, depth and smoothness noted, versus the old DAC1. I was impressed with what I was getting out of the Benchmark. But listening through the Bryston revealed subtle, but noticeable, differences with my headphones. The Bryston BHA-1 is a classic example of what a dedicated headphone amp brings to the sonic equation. For example, on my 24-bit dub of Warren Bernhardt — So Real SACD from the early 2000s. I could hear a noticeable degree of extra width and depth in the treble, yet the BHA-1 output was ultra centered and up front in the L+R. I would describe sonic signature as very analog, yet the extra upper-end detail and bass precision of 24-bit PCM comes through loud and clear — without any strain or hardness. 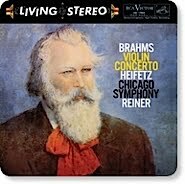 This level of sound from the BHA-1, I believe, is significantly above its price point. I would expect comparable caliber of sonics at $3,000. But at $1,395? There is a percussion section in the cut “So Real” where the artist is moving his finger on the snare drum head, and the spatial imagery is like your head is right in front of the drum head. The Benchmark DAC2-HGC, through its HA, does an impressive relay of that musical section, but the dedicated Bryston BHA-1 pulls even more out of Benchmark’s revealing converter via the line output. On the 2L classical Blu-ray Ole Bull — Violin Concertos (24-bit/192) the violin tone through the Bryston/AKG K701 combo was exquisite — the bowed textures, the depth of the string and wood overtone. The orchestral passages were rendered with a fully open, accurate timbre. Again, such audible depth from a headphone amp is amazing, considering the price. Moving on, I hooked up one of my favorite high-end SACD players, the relatively new Esoteric K-07. I then linked the Bryston and Esoteric via the Alpha-Core solid-silver XLR cables. The sampled SACD version of Ole Bull astounded me with how much of the K-07‘s audible detail gets amplified through the BHA-1 and the cans. On the Gene Bertoncini nylon string guitar SACD, Body and Soul, the guitar’s detail on numerous jazz standards, again, showcased the Bryston's ability to translate the Benchmark’s A+ conversion to the headphones. With that sweet-sounding width and depth-infused guitar signature, I could hear every nuance contained in the recording. I really love this headphone amp! My reference copy of The Anthony Wilson Trio — Our Gang SACD also was amplified with precision by the Bryston. All that Gibson jazz guitar and Hammond organ warmth was finely balanced with the drum cymbals and live-to two-track spatiality that only the best gear reveals. The AKG K701/702s are capable of clearly delineating the individual instruments in proper perspective; you just gotta feed it the best signal you can, which in my test, the BHA-1 delivered. I was also awed by the AKG and Shure headphones, with the Esoteric K-07/ BHA-1 duo, on the Allman Brothers - Eat A Peach SACD. The sweet, acoustic guitar and percussion on the track “Melissa” are finely separated in the mix, just like a studio master. 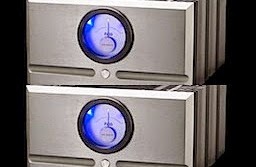 The Esoteric ramps up the detail quotient with DSD, and the Bryston passes it on through the headphones. The Benchmark DAC2-HGC via its analog input was close in this comparison, but I still think the BHA-1 had a little bit more spread to it, It’s subtle, but I could hear it. Besides comparing Bryston to several DAC headphone amps, I also listed to various other HA-equipped components, such as my trusty Van Alstine FET/tube hybrid preamp, which has a pretty good dedicated headphone circuit. In sampling all the same material through the components, my initial impression of the Bryston held up, none of the other HA-equipped devices could quite match its gracious soundstage. Once I went through the crucial listening tests with the upper-end converters, etc., I had some fun plugging in other gear to the BHA-1. After all, if you buy a really good headphone amp and headphones, you should be able to plug dang near any analog output into it and enjoy the aural bounty. The TASCAM DR-100 Mk II portable 24/96 player recorder, via 1/8th-inch fixed input to the BHA-1, showed me how good its AKM DAC can sound. Another example: the Oram 16T professional mixing console; my headphone mix downs never sounded better than through the Bryston. Serious pros and mastering engineers should love this HA for QC monitoring. The BHA-1’s key ingredients are its internal parts. 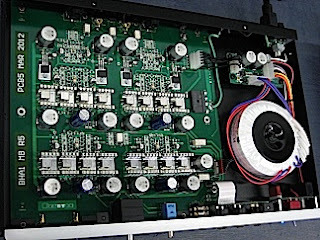 With a toroidal transformer-based power supply section, the signal path is rendered through six, fully discrete Class A, Bryston spec’d op-amps. An audiophile-spec Noble volume and balance controls also enhance its high-end signature. I also enjoyed copious hours of LP listening with the Shure SRH1840, the Bryston BHA-1, a Clear Audio belt-drive turntable/cartridge combo and a Rogue Audio Model 99 Magnum tube line/phono preamp. The BHA-1 reminded me that well-recorded LPs can have really good channel separation. The uncolored, yet analog signature, of the Bryston HA drew me in with numerous plays of my Wes Montgomery — Full House LP and the original LP release of Michael Jackson — Thriller. Despite the sheer number of devices, I played through the Bryston BHA-1, I did not have any balanced-connector headphones to try, but I believe the Shure SRH1840 and the AKG K701/K702 revealed enough detail to prove that the BHA-1 is a high-end HP amplifier that won’t break the bank. In assessing the Bryston, I could find nothing to really criticize, maybe a second 1/4-inch output for multiple listeners. but that is really a nitpick. This unit is great as is. The overall build, silky smooth action of the potentiometers and just-right amount of connections makes this BHA-1’s ergonomics complaint proof. For those who are steadfast headphone listeners (count me as one), the Bryston BHA-1 is a real steal. Designed as companion for Bryston’s BDA-1 and upcoming BDA-2 DACs, you cant go wrong using the Bryston with any piece of audio gear with line outs. It is so good with quality headphones that you might find yourself reaching for the headphones a little more often. As if you couldn't predict it, I am giving the Bryston BHA-1 the Everything Audio Network Stellar Sound Award.